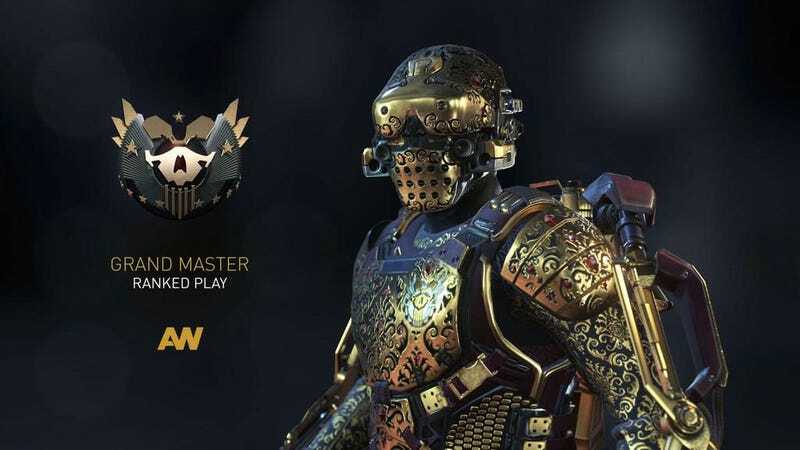 It may look like something straight out of Dragon Age: Inquisition, but this is a very special set of armor only the top 100 players in Advanced Warfare shall receive. If it weren't for the hydraulics on the shoulders, I could totally see myself slaying dragons in the Grand Master Character Gear set. Sadly this picture, tweeted by Sledgehammer Games yesterday (via IGN), is the closest I'm going to get to it. It's only for the top 100 ranked players, and I don't think I'm even in the top 100,000.